18 May 1980 was a Sunday. I was working the morning shift as a kitchen helper at the Kettle Valley Restaurant in downtown Hope. The telephone rang and Lee, the owner-manager, answered. The call lasted maybe a minute or two. 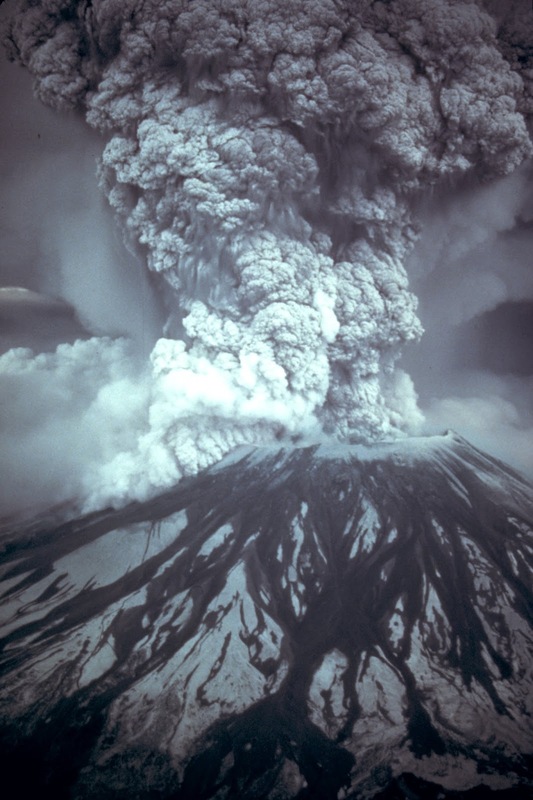 As he hung up the phone, he said something about a Mount St. Helens. It had erupted at 8:32 a.m. 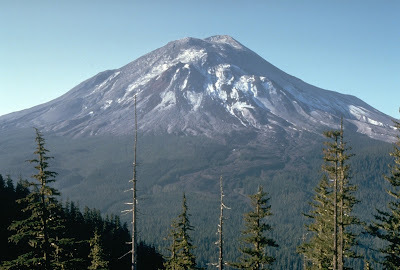 I had no idea where Mount St. Helens was, because I was new to the area, having only recently moved to British Columbia. (I later found out that Mount St. Helens, a volcano, is about 417 km south of Hope in Skamania County, Washington State, USA.) When I got home that afternoon, I learned from TV news reports just how catastrophic the eruption had been. 1. Wikipedia contributors, "Mount St. Helens", Wikipedia, The Free Encyclopedia (https://en.wikipedia.org/wiki/Mount_St._Helens : accessed 8 May. 2016). 2. Wikipedia contributors, "Mount St. Helens", Wikipedia, The Free Encyclopedia (https://en.wikipedia.org/wiki/Mount_St._Helens : accessed 8 May. 2016).